RUNNING for EDU DESIGNS. You can keep up the good work he started! 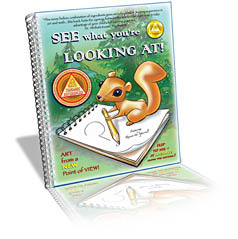 Help us get our educational materials to children who need it. Donate any amount & get a FREE Download of my Art Book! I know you care about investing in CHARACTER as well as INTELLIGENCE. You want to give children more of what really matters. SO DOES CHRIS ZURBUCH! Chris is a modern day Hero for Kids! 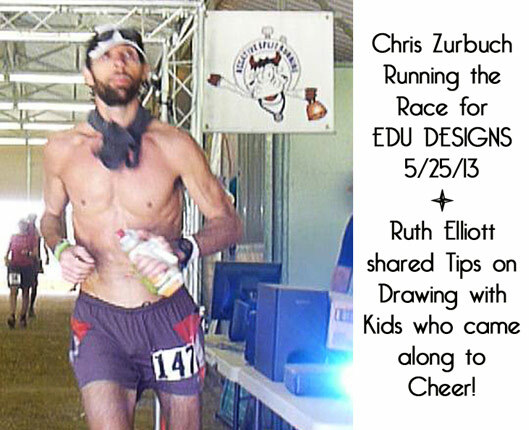 Chris Zurbuch is not only a phenomenal RUNNER – he runs for a good cause: to help children achieve their goals and become productive citizens in society. The Nanny Goat 100 Mile Race in Riverside, CA, raises funds for Charity each year, and THIS year, on Saturday May 25th 2013 Chris ran 100 miles to help raise money for EDU DESIGNS, the non profit that creates and distributes media for the education, motivation and character development of children. 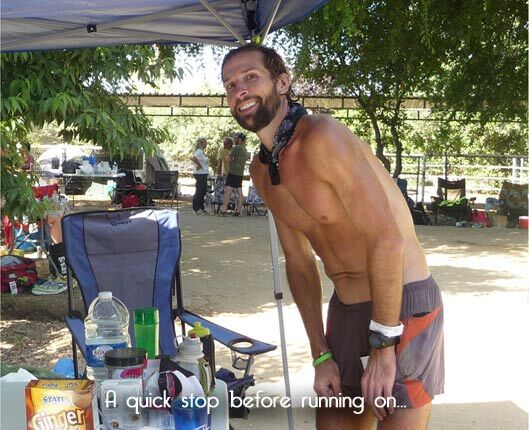 Chris taking a quick break during the 100 Mile Run! 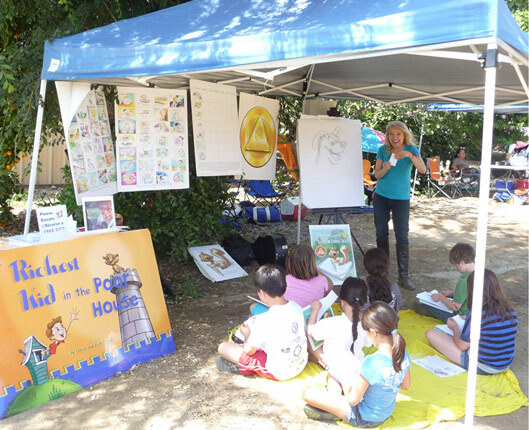 Each donation allows us to provide our materials to schools that need them, along with tools for better behavior. 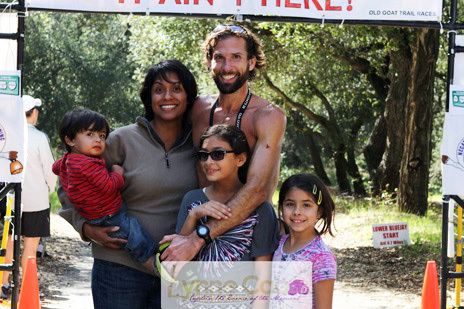 The Nanny Goat 100 Mile race took place Saturday May 25th 2013 on a private horse ranch located in Riverside California. This was a timed event with live streaming on the Internet. 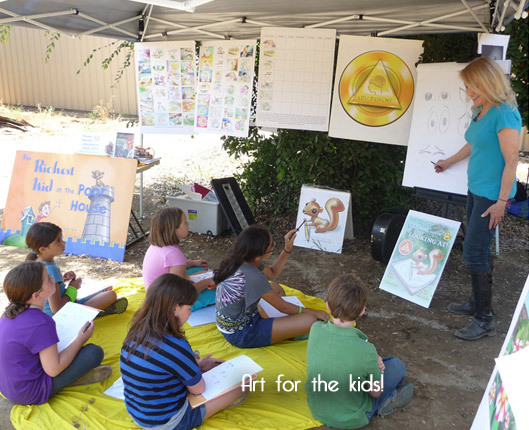 Ruth Elliott was at the event from 12-5 giving Art Tips for the kids. Check the updates on our Facebook Page for details! Chris is giving his very best to help kids. YOU CAN TOO! THERE'S ALWAYS HOPE WHEN YOU HELP KIDS! Is YOUR site a Positive INFLUENCE? EDUCATIONAL? Yours may be a Site of Distinction! Tell us, and let the world know by displaying your recognition seal & link on your site! Find out more HERE. 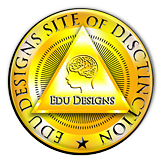 Edu Designs makes careful use of your support! We don’t use a single cent of your gifts for salaries – 100% goes to programs to help children.